Lock in a great price for Villa Irene & Villa Sylvia – rated 9.7 by recent guests! 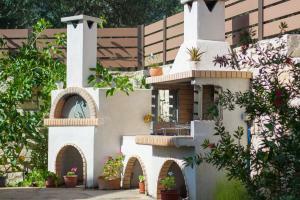 Offering a seasonal outdoor swimming pool and free WiFi, Villa Irene & Villa Sylvia provides accommodations in Roumelí. All units come with a seating area, a sofa, a flat-screen TV and a fully equipped kitchen. There's a fully equipped private bathroom with shower and a hair dryer. Bali is 9 miles from Villa Irene & Villa Sylvia, while Rethymno is 17 miles from the property. The nearest airport is Nikos Kazantzakis Airport, 40 miles from the property. This property is also rated for the best value in Roumelí! Guests are getting more for their money when compared to other properties in this city. When would you like to stay at Villa Irene & Villa Sylvia? 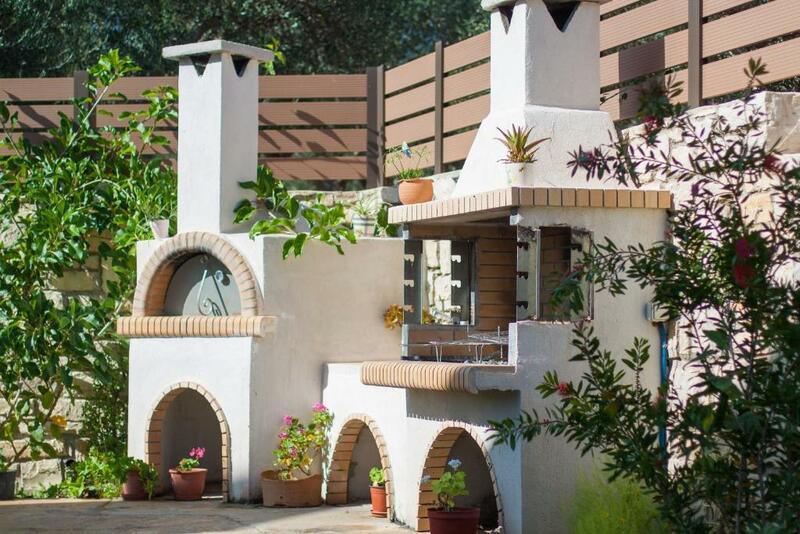 This villa features a balcony, electric kettle and oven. There is also a children's playground. This villa features a balcony, DVD player and CD player. There is also a children's playground. Villas Irene & Sylvia are two newly built Villas, constructed in 2014, tastefully decorated and providing travellers with all modern amenities and it’s conveniently located just a short drive away from restaurants, shops and beautiful beaches. These amazing Villas are also close to a number of sightseeing areas, as well as to a number of charming little villages, just waiting to be explored. 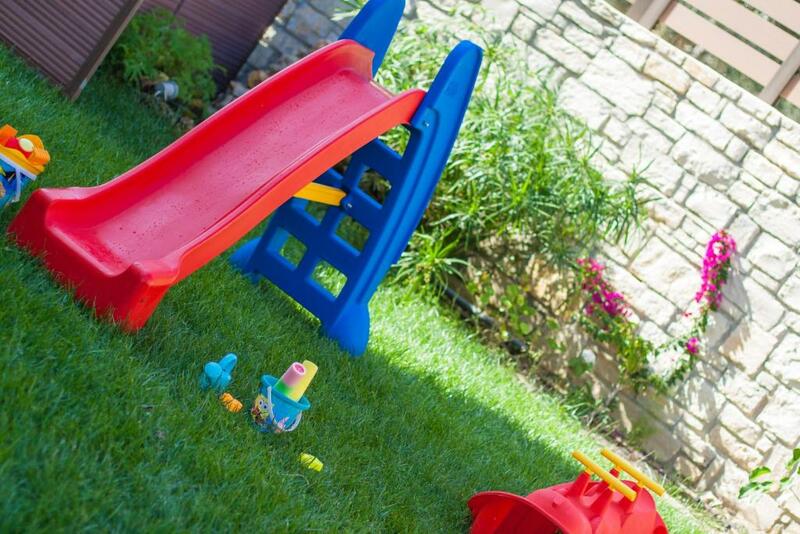 Villas Irene & Sylvia are a perfect choice for a family holiday, suitable for families or groups of friends! 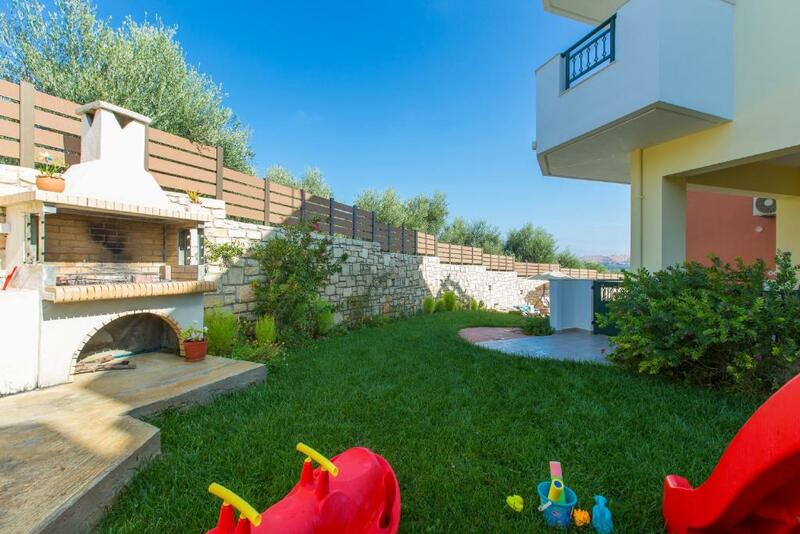 The Villas are located in a private field, next to each other, yet they provide privacy and each one has its own private pool, BBQ facilities and garden! Villas Irene and Sylvia are located in the provincial road between Panormo and Perama. In Perama town which is within 5 minutes away by car you will find everything that you might need like shops, bakery, grocery store, butcher’s, taverns, cafes, supermarkets, ATM machines, pharmacies, gas stations and post office. Also Panormo, is a friendly sea side village, 5 minutes away by car and well know for its sandy beaches. The two main beaches are Limanaki and Limni. Both of them are sandy with clear blue water and ideal for kids, as they are shallow and well protected from winds. The beaches are organised and equipped with sun beds, umbrellas. Water sports are also available.Even further to the east, there is a small cove with a pebbly beach, ideal for seclusion and snorkeling. The village has all the facilities and amenities one would need : well-stocked mini-markets, post office, pharmacy, a doctor’s office, a butcher's shop, bakery (hot, fresh bread every morning from 9 am), various gift shops and traditional seaside shops at very reasonable prices. House Rules Villa Irene & Villa Sylvia takes special requests – add in the next step! Loved the pool area, friendly hosts and wonderful home cooking! 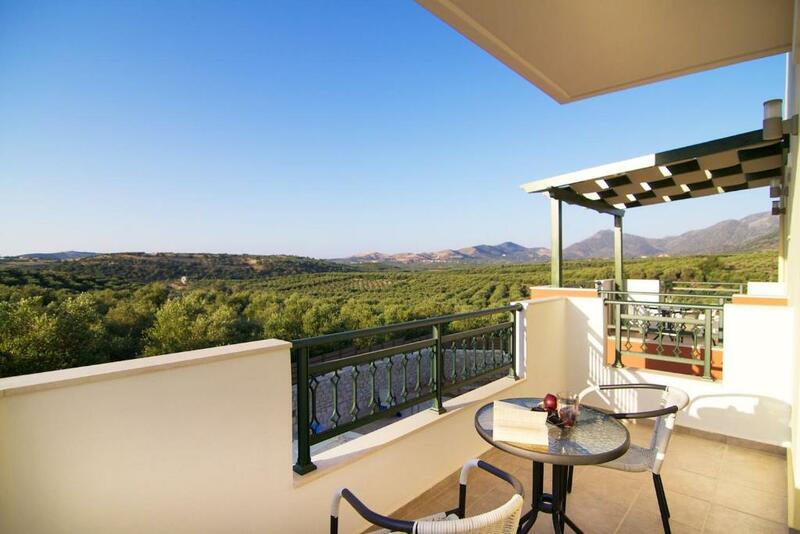 Located in the middle of crete so if you want one place as a base this is perfect location. If you are looking for piece, quiet and relaxation you have come to the right place. The Villa has all you can think of to make you feel at home. The owners are so kind and generous. We came late and we were welcomed with home made dolmades. We booked only for two nights and we were sorry we could not extend our stay there. Nothing, everything was perfect for us. Great central location! We were a family of four adults and one child under 2 visiting Crete for holiday. The villa was in a great location to see much of the islands. The family owners were super nice and helpful. We arrived very late and they even cooked us dinner!